“A personal coach” or a human prod? As if the prick of a guilty conscience isn’t enough every time you pass those dusty gym shoes, someone has gone and created a device users willingly wear that give out electric shocks if you’re not sticking to your exercise regime. The wearable prod/fitness tracker is called the Pavlok, as its creator thinks the wristbands can be used to train those who wear them with negative reinforcement. In an extra twist right out of a Psychology 101 book, apparently your friends can have the power to shock you when you fail. You can also lose access to your phone and face fines, if you want to do that to yourself. You set your own goals, like taking a certain amount of steps per day or going to the gym. 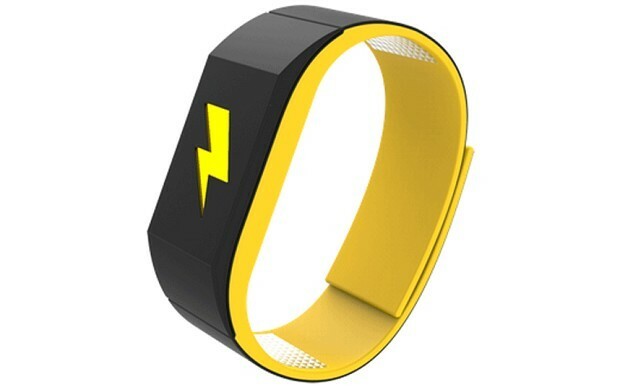 The Pavlok uses its GPS data to track whether or not you’re going to that gym or taking all the steps you need to be. If you fail, zap! It’s unclear at this point how the shocking mechanism works, exactly, but “up to 340V” can’t be a fun experience. The human zapper isn’t on the market yet and is set to go on sale in 2015, but interested parties can get in on “a limited number of prototypes” for $249, or preorder the commercial unit for $149. A guilty conscience is much cheaper, but not quite as physically painful. The choice is yours. Can Hackers Track Movement Of Wearable Devices To Figure Out PINs & Passwords?